Pocket WiFi Korea is celebrating this year’s Virtual Reality Summit with an exclusive 2+1 event! Anyone who rents 2 devices from June 1st to June 30th will get 1 more for free! # You do not have to go to Virtual Reality Summit 2018 to participate in this event. Everyone is eligible. 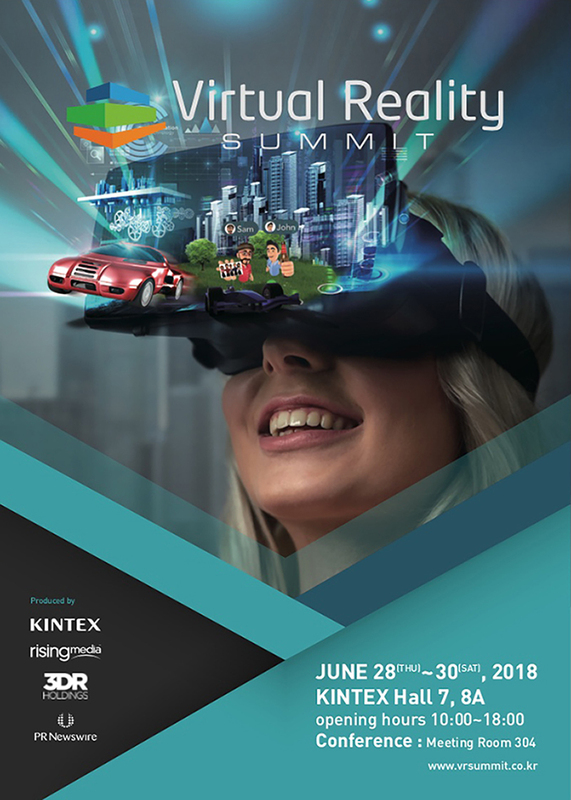 What is Virtual Reality Summit 2018? The conference directly focuses on virtual reality and augmented reality innovation. During the period of the conference, technology leaders all over the world come together to create new “creative opportunities in entertainment, marketing & advertising, media, education, healthcare and more. Naomi Assaraf, CMO of cloudHQ : Naomi will be the speaker for “Diversity: The Key to VR Adoption & Growth” on behalf of cloud HQ which is a tech startup that focuses on Gmail add-on tools. Doug Bester, founder of Sentient Computing : Doug will be the speaker for “VR Mine Safety Training” on behalf of Sentient Computing which is a company that focuses on training & simulations in an interactive 3D virtual environment, Realtime Data and more. Inho Choi, founder of Fix Games : Inho will be the speaker for “Establishment Strategy of a VR Theme Park in Goyang City” on behalf of Fix Games. Steye Hallema, Jaunt : Steye will be the speaker for “Music VR” on behalf of Jaunt which is a company that produces and distributes VR, AR and Mixed Reality Content. David Karlak, RSA VR : David will be the speaker for “VR Storytelling in Films” on behalf of RSA VR which is a company that develops and produces VR, AR and Mixed Reality media. Cody Karutz, founder of Blue Trot : Cody will be the speaker for “Educational applications of VR (including climate change on behalf of Blue Trot which focus on brain science, children’s media, program development and immersive technology. Henry Lane, managing director of Corvecto : Henry will be the speaker for “Synergies between VR, Robotics, and other Technologies” on behalf of Corvecto which makes VR training solutions for complex and hazardous scenarios. David Polinchock, founder & CXO of Experiential Advertising Group : David will be the speaker for “”VR in Experiential Marketing: on behalf of Experiential Advertising Group which focuses on creating strategic immersive experiences. Robyn Tong Gray, Co-founder and Creative Head of Otherworld Interactive : Robyn will be the speaker for “Enhancing Emotions in VR” on behalf of Otherworld Interactive which is a studio focused on creating consumer facing virtual reality experiences. Ryan Wang. Co-founder & General Parner of Outpost Capital LLC : Ryan will be the speaker for “Venture Capital Fund focusing on VR/AR” on behalf of Outpost Capital which focuses on frontier technology for Virtual Reality and Augmented Reality. *Also check out WiFi Egg Korea for more events!